Claire has worked in the Further Education sector for over 7 years. After starting in MIS she then successfully transitioned across to Work Based Learning to become a Business Advisor at her previous establishment. Specialising in ongoing account management and business and customer service, she successfully developed the skills to be able to work with businesses to identify business and training needs and then support with recruitment and ongoing account management. 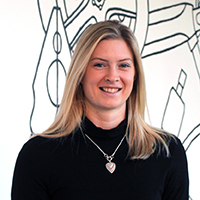 Claire has recently moved to Surrey and is currently working alongside the Vice Principal - Business Development to coordinate the Employer Services team and the processes which enable the department to function at the highest possible levels of customer service and business support.